Between advertisements by the jewelry industry and self-obsessed modern women, far too many men are lavishing their wives with expensive gifts on Mother's Day. Sometimes they don't even try to pretend it is from the kids any more. They have forgotten what this day was created for. It wasn't like that in the past. When my husband Harry was still living, God rest his soul, he spent time with his mother. I didn't get in the way or nag him about expensive gifts, I knew it was her day. Harry was always sad on that day after she passed on. Sometimes I wonder if my son Benjamin will even remember me. Every year, my daughter-in-law is doted upon with gold, diamonds, pearls and trips to day spas. I am lucky to get a phone call, and that is only when my precious adorable grandchildren, who obviously do not take after her side of the family, say "let's call Grandma!" It is no secret in my family that I don't get along with that catty little shrew my son married, who I still think let herself get knocked up just to get her meat hooks into him. That greedy gold-digger was never good enough for my son. I am so glad my grandchildren didn't turn out to be like her. She is always willing to accept less than the best for those little angels or Benjamin, but never for herself! This letter is not aimed only at my son, but at all sons everywhere who don't seem have time for their wives' honey-do lists and their mother, so they pick one. The squeaky wheel gets the grease, that shrill nasal-sounding squeaky wheel! It is called Mother's Day for a reason. It is not Wives Day. They already have the other 364 days, 365 in a leap year. None of them act like Father's Day is Husbands Day even for a second. Think about that, boys. I will wrap this up by saying one more thing. 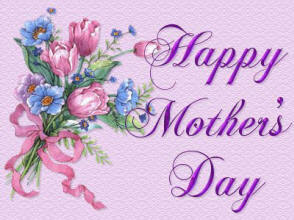 Do something for your mother this Mothers Day. It is not like she never gave you anything. She only gave you the most precious gift of all: life itself! Editor's Note: Martha Jane Radstein is the mother of Staff Reporter, Ben Radstein. Some of us at The Uncoveror such as Staff Reporter, Colleen Smith think she is only being bitter and jealous. Others such as Sports Editor, Ralph Hutchinson and Science Editor, M. Grant Winston think she has a point. What do you think? Let us know at news@uncoveror.com or uncoveror@fuse.net. better yet, write to the editor of your local newspaper as well.